Support tailored to your needs. Providing doula care, prenatal classes, and water birth supplies, we are your Calgary based birth and parenting resource hub. 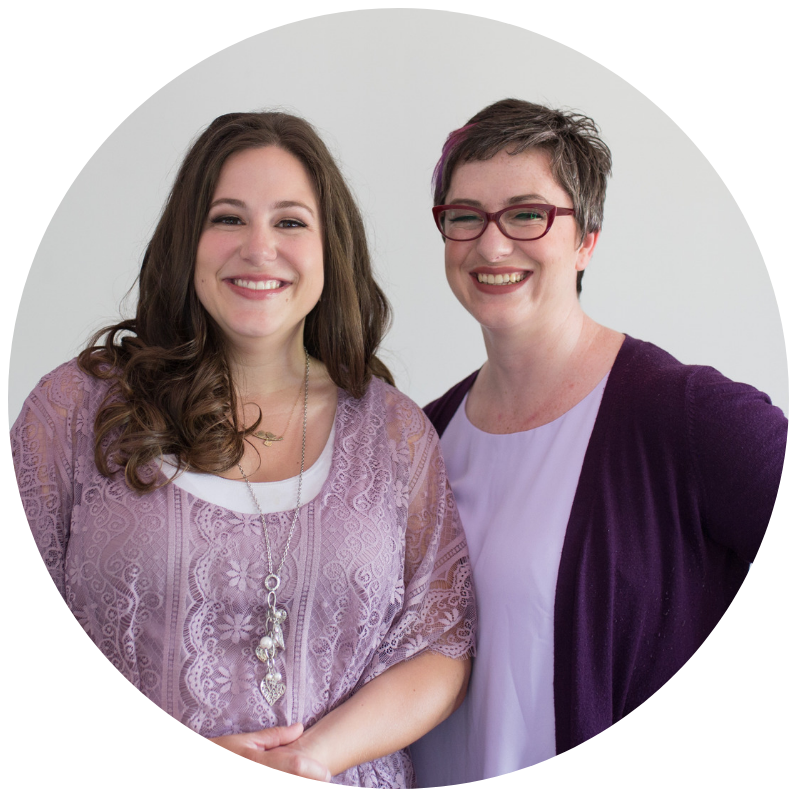 Five Elements Birth Services was founded in 2014 by Rachel Parris and Christine Jennings. Our first business meeting took place at a pub, over beer and wings. We discussed our passion for doula support, our dreams for the future, and our mutual love of geek culture. As we began to hone in on the type of care families wanted and how we could provide it, Five Elements Birth Services was born. Together we have built a thriving, sustainable practice and in turn, you benefit from our ability to provide 100% unconditional, wholehearted care. WE BELIEVE THAT IT TAKES A VILLAGE And WE would love TO BE part of YOURS! While many factors go into choosing the right doula for you, the heart of doula support is connection. Do you feel safe and secure? Comfortable and comforted? Do you feel like you are in good hands? This is why we offer our free, in person, no-obligation interviews. You get a full hour to ask the questions you have, to share what you want from your doula, and to tell us about your hopes and plans for your birth and postpartum time. In return, we’ll share who we are, what we’re about, and how we can serve you during this incredible journey you are on. THERE ARE A LOT OF YOU - WHICH DOULA WILL I GET? You are the best person to decide which doula is the right fit for you - we offer several different options to help you decide which of our amazing doulas you would like to work with. Book a FREE, no-obligation 15 minute phone chat - this is a great option if you have general questions about our services, products, or doulas. Complete our inquiry form - ready to interview with your potential doula? Fill in our inquiry form and we’ll connect you with an available doula. Email us at info@fiveelementsbirth.com - whatever’s on your mind, we’re here to help. CAN YOU GUARANTEE MY DOULA WILL BE AT MY BIRTH? While your doula aligns her life to ensure she is available and able to support you whenever you need her, like birth, life can sometimes surprise us. One of the benefits of hiring a doula from a collective is that we have built in back up coverage to provide you with seamless, worry free support, no matter when you might need it. We believe that communities are strengthened through diversity. We are committed to providing care and support that is cognizant of the unique needs of indigenous people, people of color, LGBTQIA+, and differently abled clients. We recognize that these communities potentially face additional challenges or barriers when seeking maternity and postpartum care and are committed to providing thoughtful, inclusive doula support. As part of our on-going growth as individuals and doulas, we are committed to seeking out continuing education opportunities that are both diverse and culturally sensitive. We value allyship and welcome feedback from our community about our efforts in this area.